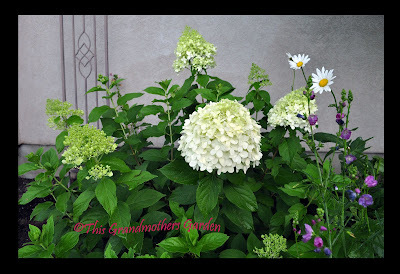 This Grandmother's Garden: I'm As Giddy As Can Be! I'm As Giddy As Can Be! and I'm as giddy as can be! Now I've got to go find me another one. I am going to have to get some of those. A lady down the street purchased I think five or six of them and planted them together in one sweep. Your blooms look great! 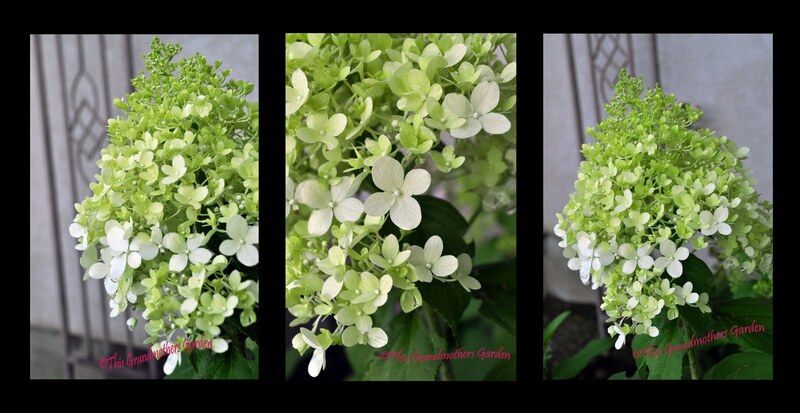 I love this hydrangea too, and this year, with our record-breaking rainfall, it has flower heads the size of basketballs...unbelievable! I plan to plant more of them, too! 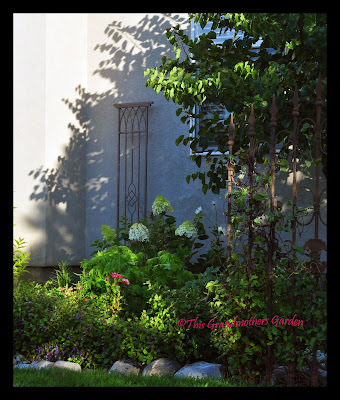 Love your garden ornamentation, very pretty. On my trip to NYC I just fell in love with this hydrangea. It looks very happy in your garden, beautiful huge blooms. Aren't they simply amazing?? I have a Limelight too and I absolutely love it. I forgot to prune it back this spring and it has gotten a bit over grown this season. My other favorite H. paniculata is Pinky Winky - I like the more upright branches on it and the multi-colored flowers. I'm on the look out for a Quickfire now...can't have too many paniculatas!